Srinagar: A delegation of Kashmir High Court Bar Association (KHCBA), Srinagar left for New Delhi on Tuesday to appear before the Supreme Court of India (SC), for seeking the dismissal of all the petitions challenging the Article 35 A on 13 and 14 February. The lawyers body said that the team members will meet in Delhi on 12th of February positively, so as to devise a strategy for defending Article 35-A, seriously and effectively, before the Court, KHCBA said. Earlier, the state government on Monday sought the adjournment of the hearing of the case. Standing Counsel for the state of Jammu and Kashmir, Advocate on record M Shoeb Alam had submitted the application for adjournment before Registrar General of Supreme of India. “The present matter involves a sensitive issue regarding a challenge to Article 35-A of the Constitution of India. A short reply has been filed by the State of Jammu and Kashmir in the lead matter (We The Citizens) and notices have not been issued in the other petitions. It will therefore be requested that the matter may kindly be heard when an elected government is in place,” it reads. Earlier in August 2018, the SC had adjourned the hearing on a bunch of petitions challenging the constitutional validity of Article 35-A till January 2019. The Jammu and Kashmir government had sought adjournment of the hearing Article 35-A in the view of upcoming local body elections in the state. The matter was listed before a Bench of then Chief Justice Dipak Misra and Justices AM Khanwilkar and DY Chandrachud. 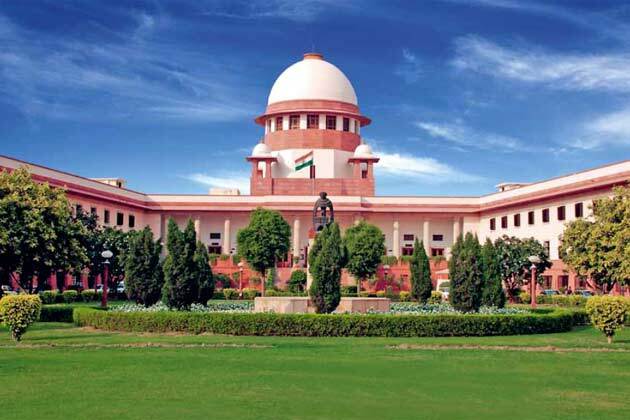 The state government had written a letter to the Registrar of the Supreme Court on August 29. KHCBA General Secretary further said that the team of lawyers has already made every preparation for the case and has already submitted 65 pages affidavit before the court in this regard.